Chelsea take on Paris St Germain in the Parc des Princes tonight and ahead of the game the boss has had his say and he is spot on once again. 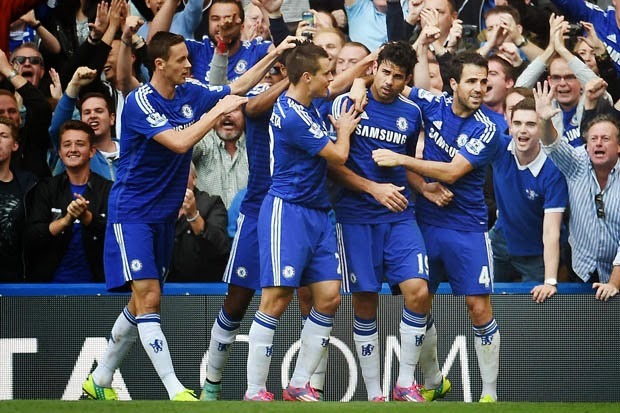 He has been quick to emphasise that THIS Chelsea team is very different to the side they faced last term. "I'm not here to comment what opponents say, even being David. I don't want to comment. We beat them, but we lost. And we lost in Paris and again knockout competition was decided in the last minute. A detail makes a difference. I'm not saying we won because we were better than Paris. We won because we scored a goal away and we didn't concede at home. Paris are a great team and are basically the same team as last season, with David Luiz. Same team, same coach, same dynamic, same profile. They have conditions to be better. When you have stability you can always improve. Chelsea are a different team. We have some different players, we change a little bit the profile of our game, the identity of our game. I don't want to say we are better or not better. I'm saying that we change the profile of our game, so I believe that tomorrow Parc des Princes will see a different Chelsea than last season." Mourinho is spot on and I applaud him for going there and stating so. Much will be made of what happened there last season by the media and the press but that's in the past, done with and we have moved on. For Laurent Blanc and his side, they have to cope with a different Chelsea with Cesc Fabregas pulling the strings from midfield and the goalscoring machine that is Diego Costa up front. They are TWO elements that were missing from the Chelsea side that played last season. Again, the manager is right about our opponents. All they have done is added David Luiz to their squad because of FFP restrictions and the punishment they received so it is virtually the same team. Most importantly of all, I want us to get out there and demonstrate the point we are making here on that pitch tomorrow night. I want the people of Paris and the rest of Europe to see that Chelsea this term are a very different animal!